Run the above code twice; first time with an even number input from console and second time with an odd number input and study how the program of execution selects statements based on the result of the boolean expression inside the if statement. 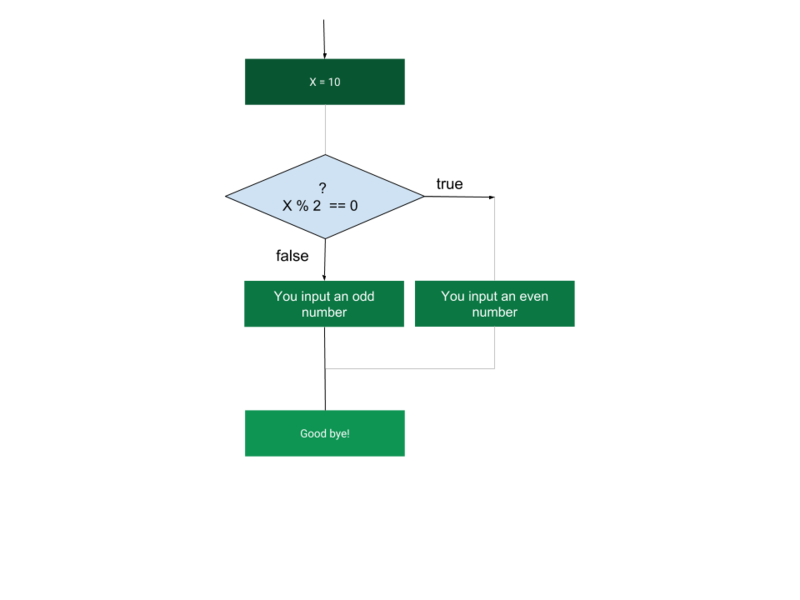 Run the above code and input an even and odd number and study how the if or else block gets executed based on boolean expression evaluation. The same execution can be visualized with the flow chart below. An if - else statement can be followed by an optional else if...else statement. When using if , else if , else statements there are few points to keep in mind. An if can have zero or one else and it must come after any else if&apos;s. An if can have zero to many else if&apos;s and they must come before the else. Once an else if succeeds, none of the remaining else if&apos;s or else&apos;s will be tested. Run the above program by giving values ranging from 100 to 20 for the score and study the logic flow by understanding which if else block is executed for each value. It is legal to nest if-else statements which means you can use one if or else if statement inside another if or else if statement. Run the above program, by inputting your grade for any subject and see what the message would be. Study the code to understand which path the program took for execution. In the above program what happens if toUpperCase() is not added to sc.nextLine()? If toUpperCase is not added then we do not get an input If toUpperCase() is not added, then the switch statement will jump to default case as the label for the case statements is in lowercase. How does the program execution flow when you key in &apos;b&apos;? The variable used in a switch statement could be a byte, short, int, char, enums or Strings. You can have any number of case statements within a switch. Each case is followed by the value to be compared to and a colon (:). The value for a case must be the same data type as the variable in the switch. When a break statement is reached, the switch terminates, and the program of execution jumps to the next line following the switch statement. Not every case needs to contain a break. If no break appears, the program of execution will fall through to subsequent cases until a break is reached. Loops are a type of control structure that allows you to repeat a certain number of statements a certain number of times. Here are the loop types in Java. 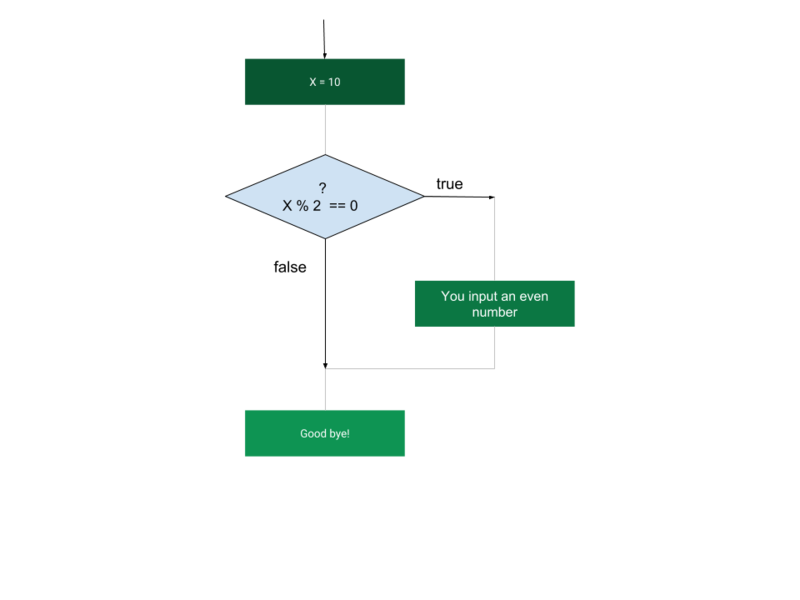 During executing, if the boolean_expression result is true, then the statements inside the loop will be executed. This will continue as long as the boolean expression result is true. When the boolean expression is false, the loop statements will be skipped and the first statement after the while loop will be executed. What happens if you do not add x++; statement in the above code? Notice that the Boolean expression appears at the end of the loop, so the statements in the loop execute once before the boolean expression is tested. If the boolean expression is true, the flow of control jumps back up to do, and the statements in the loop execute again. This process repeats until the boolean expression turns to false. What is the difference in the execution between the while and do-while in the above example? for loops is similar to while and do while except the for construct not only takes in conditional expression but also an initialization block and update block. The initialization step is executed first, and only once. This step allows you to declare and initialize any loop control variables. If you do not need an initialization block, you can skip it but should put in a semicolon anyways. After completing the update statement, the boolean expression is evaluated again. If it is true, the loop executes and the process repeats itself (body of loop, then update step, then boolean expression). Once the boolean expression is false, the for loop terminates. JDK 1.5 introduced a new for loop known as foreach loop or enhanced for loop, which enables you to traverse the any array sequentially, till the end, without using the initialization block or the update block. declaration: The newly declared block variable, which is of a type compatible with the elements of the array you are accessing. The variable will be available within the for block and its value would be the current array element in the iteration. The break keyword is used to stop the entire loop. The break keyword must be used inside any loop or a switch statement. The break keyword will stop the execution of the loop and start executing the next line of code after the loop block. In case of nested loops, break statement will stop the execution of the innermost loop where the break is present. Outer loops are unaffected. Check the result. What do you notice? Why are numbers 30,40 and 50 missing in the console? Check the results. What do you notice? Why is number 30 missing in the console? Run the program, examine and verify the result. This is the physical hardware layer that you can visually see. This consists of memory, motherboard containing CPU, Hard disk etc..